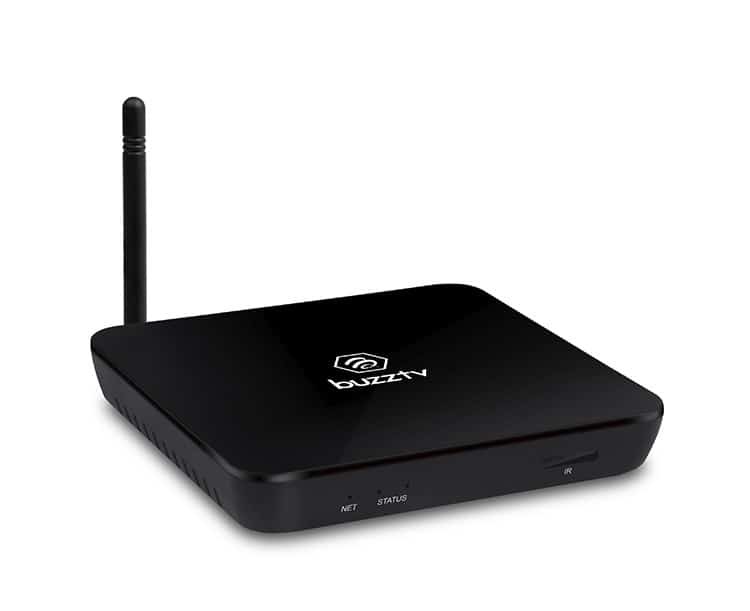 If you are keen on buying a new IPTV box, the BuzzTV XPL 3000 Android/IPTV Box might be worth a deviation from the norm. The IPTV set top box market is dominated by two big player, Infomir with their MAG devices and Dreamlink with the T2 flagship box. However, competition is always a good thing, and BuzzTV certainly knows how to shake things up with their new XPL 3000. After reading the review, you can evaluate the trade-offs involved in getting XPL 3000 box vs. any other IPTV box out there to make the right purchase decision when the time comes. Therefore, let’s press on with the BuzzTV XPL 3000 review to know more about the product from top to bottom. XPL 3000 is a quad-core Android 6.0 TV box/IPTV receiver that can transform your regular TV into a super smart TV. Yes, your TV can instantly turn a new leaf with this small and sturdy box. This TV box has enough power in it to take your TV viewing experience to a whole new level. It will give you limitless freedom and flexibility to choose whatever content you want. Better yet, you can use it with any IPTV service to stream content via Stalker middleware. You will be able to watch TV shows, news, sporting events, educational content, and much more in HD quality. Compared to cable, you will be able to save a tremendous amount of money by bringing home this IPTV box. Not to forget the fact that you will also have access to Kodi and other popular Android apps. If you are a new user, you will keep discovering exciting features because there’s a heck lot more to the product than what meets your eyes. Let’s dig into the product description to tell you exactly what we mean. The BuzzTV XPL 3000 IPTV Box is said to be far better than its ancestors. That’s true! It’s smoother, faster, and it has many more features than the previous models. Well, this might not really be ground-breaking news considering the fact that most of us expect a certain bump in features with all the latest models. So, what is the icing on the cake feature with this new model? Let’s get to the nitty-gritty zone right away. Unlike the previous models, the BuzzTV XPL 3000 has an external Wi-Fi Antenna. If you haven’t guessed it yet, the antenna is for better range. Basically, it works as a signal booster. The package includes the BuzzTV XPL 3000 Android IPTV OTT Set Top Box itself along with HDMI cable, power adapter, and a remote. Frankly speaking, this was just the tip of the iceberg. There’s a lot more to this TV box, which we are about to unveil now. Some of the key upgrades include a new processor, Android 6.0 OS, HDMI 2.0, HDR technology, Improved PVR, and ATSC Digital TV Tuner support. Clearly, these specs are a cut above the scope. Having a Digital TV Tuner is also unique and will allow you to access local TV stations in addition to your streaming content. Thanks to the upgraded quad-core CPU, the user experience is fast and ultra-responsive. Also, the box is powered by Android OS. As you might already know, being fueled by Android is a completely different ball game on its own because you get to enjoy unmatched benefits. For instance, you can gain instant access to tens and millions of apps on Google App Store including Kodi, SPMC, and others. 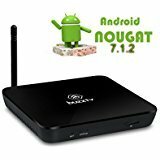 So, you can forget the age-old days of Linux set-top boxes that fade in comparison to Android OS. Also, any IPTV box currently on the market runs on much older Android versions. Considering all these upgrades, we can say that the product has actually turned a new leaf to give all its major competitors a run for their money. If the product description didn’t please you till death, you might want to take a look at the product specs. As mentioned before, there’s more to the product than what meets our eyes. The technological progress in this little device is worth a mention. So, let’s dive into the internal mechanics of the product. Well, don’t run away yet. We won’t discuss anything that only a rocket-scientist would understand. So, don’t worry, we won’t fry your brain with technical stuff. The BuzzTV XPL 3000 features a 2GB RAM. Now, this is in-line with some of the high-end products in the same segment. But apart from a few IPTV boxes, the majority of them feature 1GM RAM, be it Infomir Mag256, Dreamlink T1, or . So, the BuzzTV XPL 3000 TV box does win this round by a good margin. As you can tell, it offers double the RAM than most of its competition. The internal memory is also praise-worthy — 8GB. While some other IPTV STBs do offer 8GB, the majority of them cap at 512 MB. So, the BuzzTV XPL 3000 TV Box wins another round over here. Not to forget the fact that you do get a PVR, a feature that the widely popular MAG 256 is missing. Apparently, it’s clear that the company did pay heed to user experience while formulating the components for this people-pleasing product. Also, the box supports ATSC Digital Tuner. For those who don’t know, a TV Tuner allows you to receive television signals, and it also possible to record TV shows onto a hard disk. Not many Android TV box manufacturing companies out there support ATSC Digital Tuner. 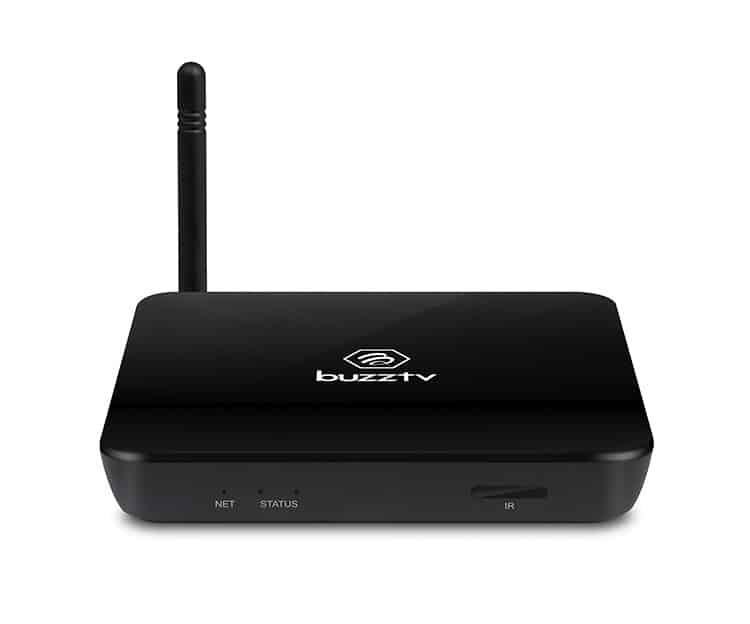 Better yet, the BuzzTV XPL 3000 Android/IPTV Box supports Bluetooth and AC Dual-Band Wi-Fi. Moreover, the product offers HDR. HDR stands for ‘High Dynamic Range.’ Simply put, you can expect best in class video playback. Furthermore, one can also get to enjoy open environment with side loading apps. Believe it or not, even some of the major products in this space do not offer side loading capabilities. You also get 6+ Middleware Solutions and 4+ DRM Solutions. Don’t get lost on the technicality here. Basically, the TV Box is built like a tank. We will also give merit to this product for the sheer reason that it’s backed by a solid one-year warranty. This screams confidence, which the makers have in their latest TV box. Of course, customer reviews always reveal the true picture. Customers are the ones who decide whether the product is a hit or miss. We make no apologies to its competition in truthfully stating that the product has received glowing reviews from the majority of the customers. Yes, the TV box has been well-received by the audience, and they are singing praises about the product. The picture quality and the speed are said to be like nothing else in the market. Furthermore, the product is lightweight, and the installation part won’t lead you to depression. In fact, the installation is quick and hassle-free for the most part. It goes without saying, this speaks volumes about the product’s quality and usability. 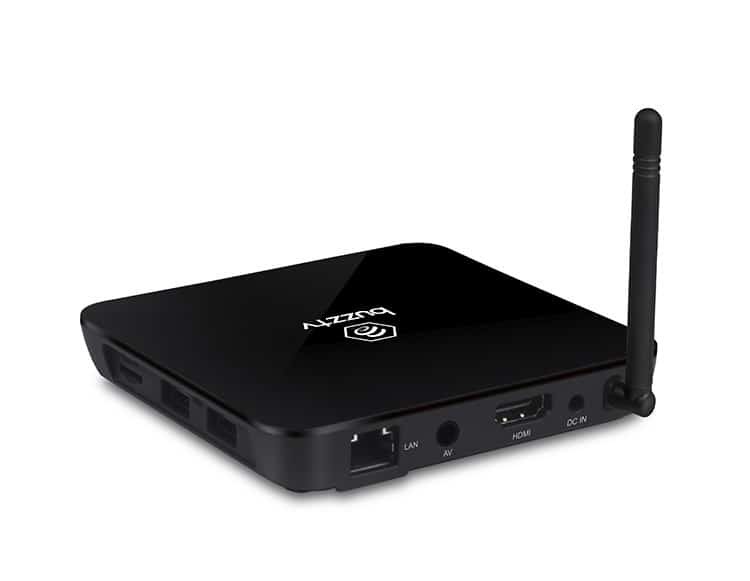 It’s hard to offer cut-throat competition to some of the major players in this space, but the BuzzTV XPL 3000 Android/IPTV Box seems to be inching in the right direction. It has been answering the needs of thousands of customers out there who are hunting for a premium media streaming IPTV device. There is no way that we will leave you in the middle of the road. Believe it or not, we have already read your mind, so we will discuss the product’s price tag as well. After all, a premium product with a hard-to-swallow number may not suit most wallets. So, does this product come at an affordable price point? To answer the question, the product is reasonably priced. The price of the TV box is not too high or low. We would say that it’s priced somewhere in between. Not to forget the fact that it’s loaded with a host of features. So, it’s easy to be satisfied with this TV box for its price point. Frankly speaking, the company can easily get away by charging more for this TV box. Fortunately, it’s priced a little over $100. So, it won’t break your bank. Given all the features and usability, you really won’t mind the price tag because the product features surpass most expectations. Oh, we almost forgot! The remote is an important and handy component of the entire package, so how could we miss it? Frankly speaking, the remote is a breeze to use. There is nothing on the remote that’s not self-explanatory. The layout is excellent with a nice spacing of buttons. So, the remote won’t cause you a migraine-sized headache. It works like a charm. Also, it does not need a direct line of sight. So, you won’t have to move your positions to send signals. In fact, many of the customers out there have deliriously praised the remote. The latest upgrade also includes press ‘Menu’ on the remote to access PVR. 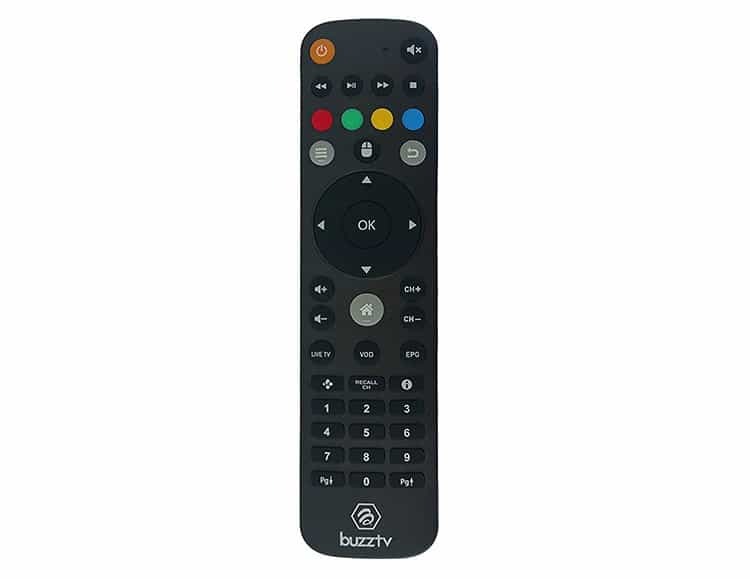 The highly functional remote combined with an outstanding UI (User Interface) makes BuzzTV XPL 3000 a killer product in its class. Well, as you may expect, no product out there is perfect. You will always find some flaws here and there. The BuzzTV XPL 3000 IPTV Box is no exception here. We wouldn’t say that there are any major flaws in the TV box, but you will encounter a hitch here and there. For instance, the ‘favorite’ category is restricted to one. Allowing users to add more favorite category would have been a great inclusion such as favorite 1, favorite 2, and a few more. On the hardware side, it is quite surprising to see that BuzzTV didn’t include a Gigabit Ethernet port. While 100 Mbit is still plenty of bandwidth to stream any video content, the much faster Gigabit Ethernet has become the norm on many of the TV boxes on the market. To sum things up, this unit is excellent. It doesn’t take too much space or money, and it’s fueled by a bunch of exciting features. Truthfully speaking, it’s hands down one of the best IPTV boxes out there on the market today. We have to give this TV box credit, where it’s due. The product upgrades are automatic. So, all the recent update will take care of itself, without you even lifting a finger. With lots of features, the product does pack more than a decent punch. By all means, this IPTV box is a people-pleaser. It’s a top-of-the-line product at an affordable price point. It’s a simple and practical solution to take one’s TV viewing experience to a whole new level without throwing an arm and a leg. So, it’s perfect for the masses. Frankly speaking, the BuzzTV XPL 3000 gives you ample reasons to let your heart sing praises about it. In this high-tech age, this product is one of the best in its class. Therefore, we would recommend this IPTV box without any reservations.